Many people understand that their credit determines whether or not they’ll have a high interest rate or a low interest rate when they make certain purchases. 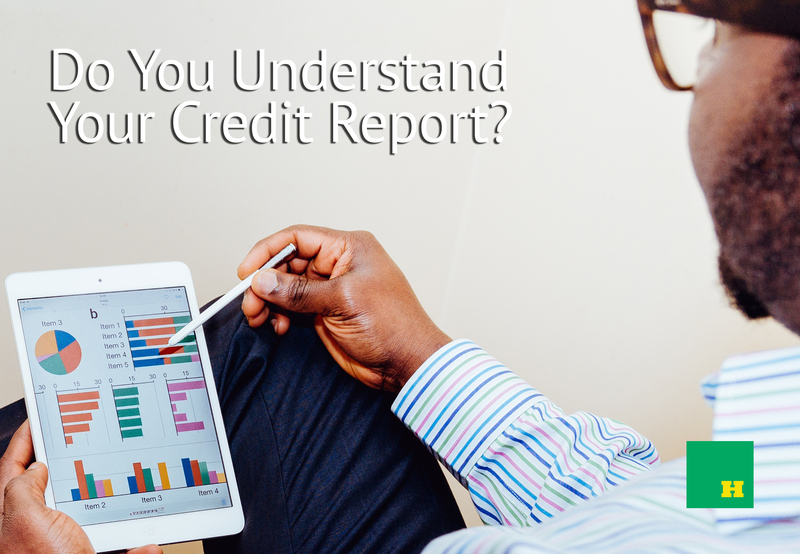 However, there is much more to your credit report than just the score and understanding it is not very difficult to understand, you just have to know what you are looking at. Is All Credit Information Equal? Since your credit report is comprised of your credit history, you might assume that each piece of information is weighed the same, but, in fact, there are differences in how each part of your history is calculated. According to myfico.com, the largest part of your credit report is weighed by your payment history. In fact, this number makes up 35 percent of your total score and new credit accounts are 10 percent of your score. Some types of credit affect your score more than others, like credit card debt, which will have a stronger impact than a student loan. Some loans are designed to be long term, which means they won’t bring down your score as fast as outstanding credit card payments. Credit cards are easier to use, more readily available and because of that, they come with higher risk. However, hard inquiries are common and the impact they have on your score is easily repairable. These inquiries are not made to prevent you from taking out loans, but to keep you from relying too heavily on loans and credit. Additionally, according to TwoCents.com, you can check your own credit report as well, and this is known as a soft inquiry. This will not affect your credit as much. Checking your score to see where you stand is a good idea. And you shouldn’t wait until a lender checks it. You should be proactive about your credit score. Know what you numbers are so you can improve or maintain whatever path you are on. Additionally, there might be mistakes you can have removed, but this is only the case if you take a look. Whether or not you are confident about your credit report, if you are ready to take the next step to purchase a quality vehicle, contact us. Our finance officers are ready to assist you today!